THANK YOU SO MUCH TO EVERYONE WHO ENTERED THE GIVEAWAY! ALSO, IF YOU DIDN'T WIN DON'T WORRY, SINCE I AM PLANNING ON HOLDING A HUGE GIVEAWAY FOR REACHING 2000+ FOLLOWERS!! It's officially spring here in Toronto, Canada, the weather is so warm and my whole neighborhood is outside playing in the park. 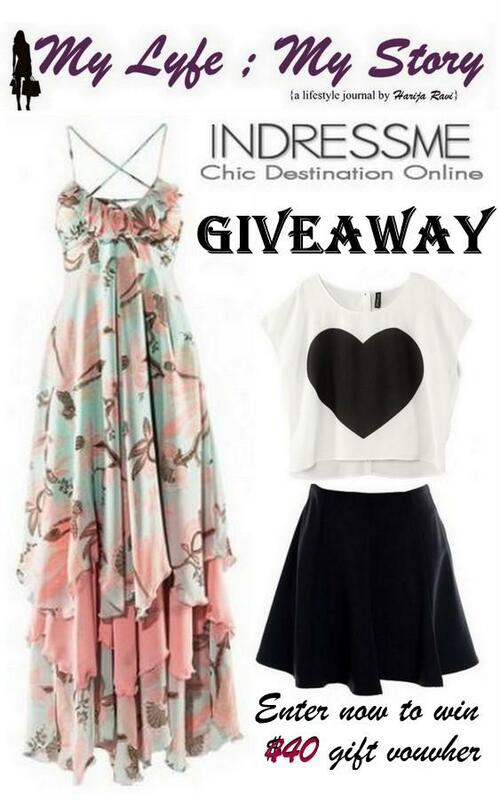 Since many of you are all on spring break (unless you are like me and still have classes), I have a small treat for you all: another giveaway and this time it's from InDressMe. InDressMe is one of my newest companies that I have team up to collaborate with for the upcoming month. Plus, they were so nice enough to give me an opportunity to host a giveaway on behalf of them, where one of my lucky readers will receive an opportunity to win a gift voucher for $40. Giveaway activity will last for 15 days today and ends on March 25th.